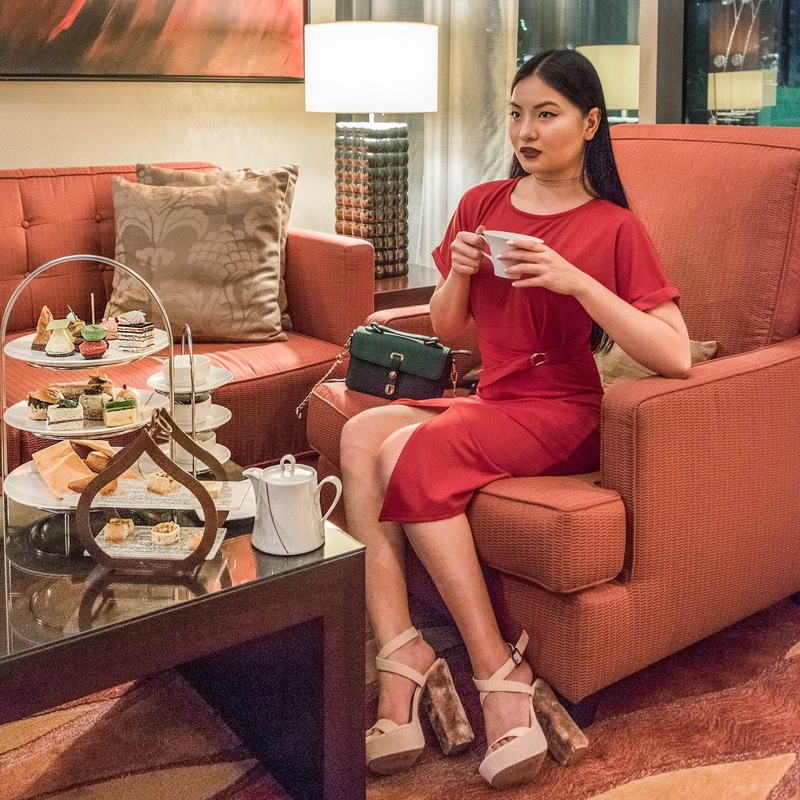 Ending the week on a high note, quite literally with high tea in high heels at Caramel in City Centre Rotana, Doha — a perfect post-shopping affair with the hotel's location being connected to City Centre Shopping Mall. 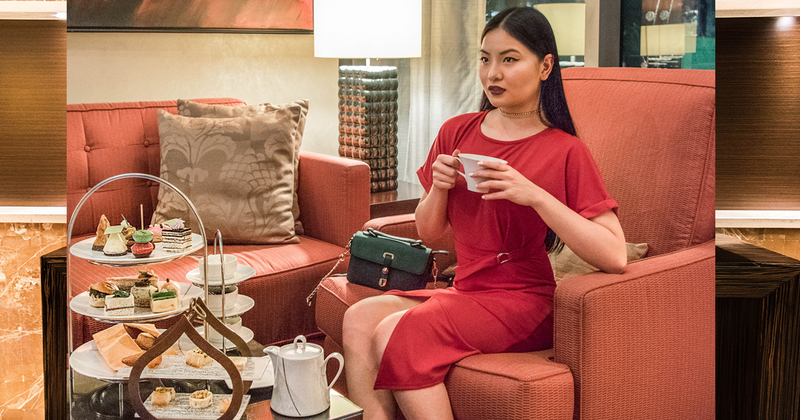 Ending the week on a high note, quite literally with high tea in high heels at Caramel Lobby Lounge in City Centre Rotana. 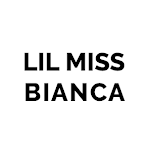 The intimate setting and cozy couches make for a chic weekend treat with your girlfriends — I recommend it as a post-shopping affair, with the hotel's convenient location being connected to City Center Shopping Mall. A little history class: An after-lunch-before-dinner kind of meal, high tea is the less fancy sister of afternoon tea. Traditionally it was served in high tables, intended to be taken standing or whilst seated in high dining chairs for workers, hence the name 'high' tea. 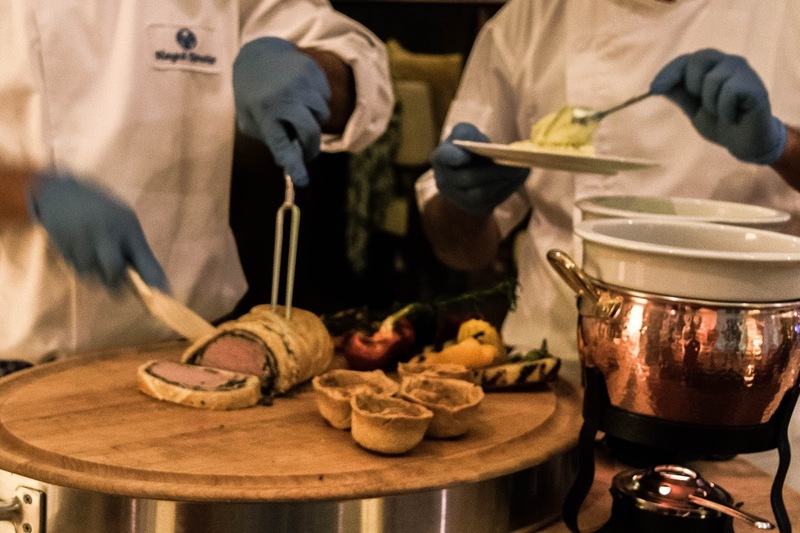 Now what only sets high tea apart from afternoon tea is the inclusion of heavy and savoury dishes like beef wellington for this instance, in the spread. 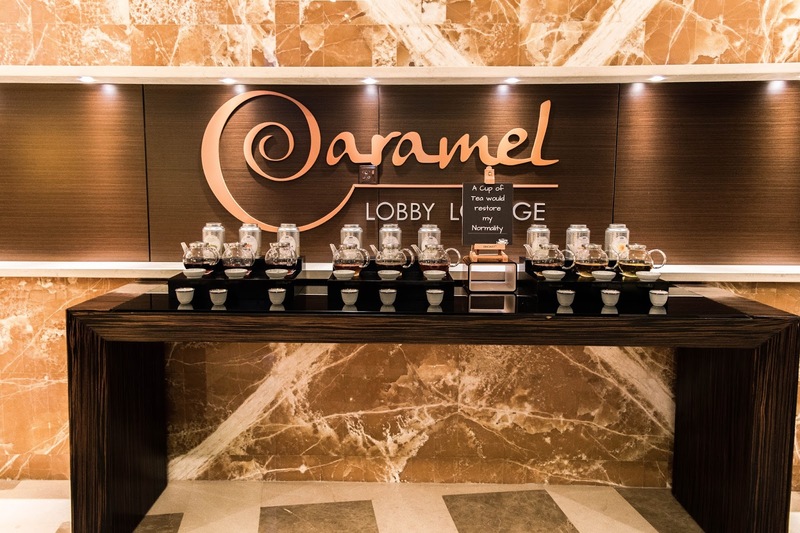 Caramel Lobby Lounge offers an extensive variety of Dilmah teas, from which you can choose for your high tea experience. 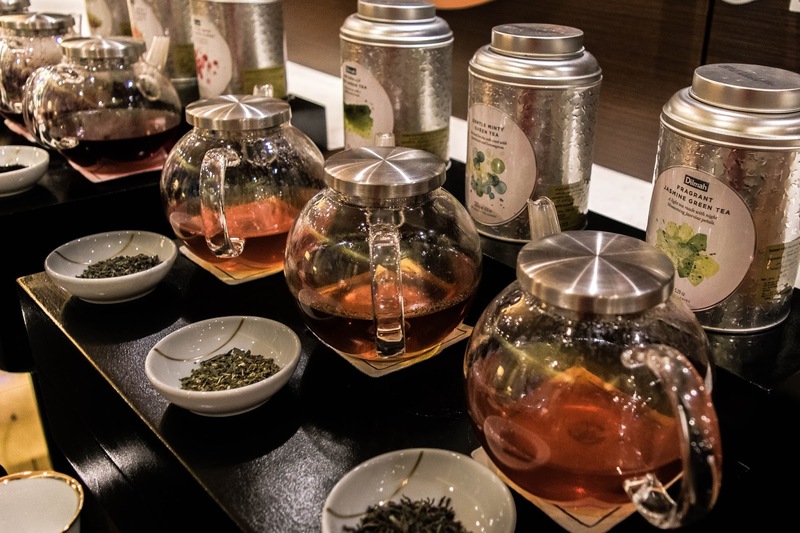 Needless to mention the quintessential tea types, the lounge, too, lets your adventurous side come to play with their unique tea and flavor fusions i.e. Ceylon Tea with Apple and Vanilla, Ceylon Tea with Chocolate and Mint, and Natural Lemon Verbana, a fusion of citrus, herbs, and spices. Beautiful on the plate and on the palate, the pastries — both sweet and savoury — are delicious and well-presented. 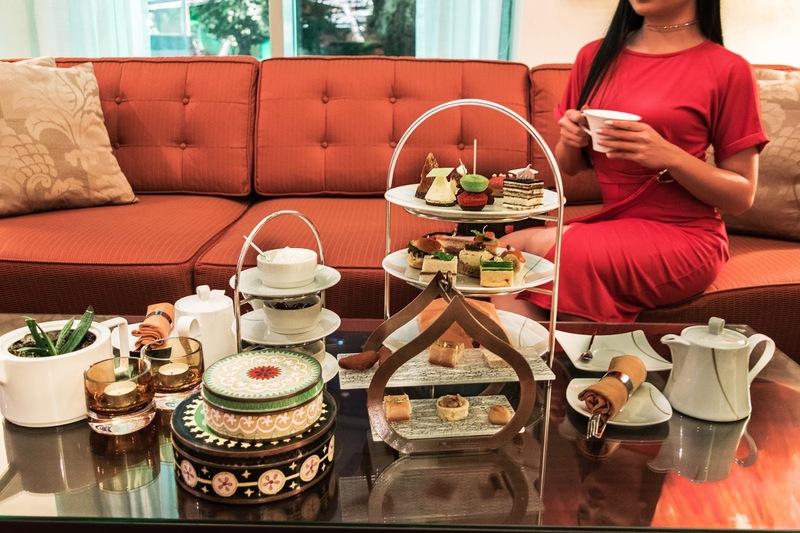 The three-tier high tea spread presents some twists on the classic mini sandwiches like cucumber, textured mint cream cheese in ciabatta bread; smoked salmon with avocado and caper pinwheel; foie gras mousse and smoked duck with cranberry jam, to name a few. 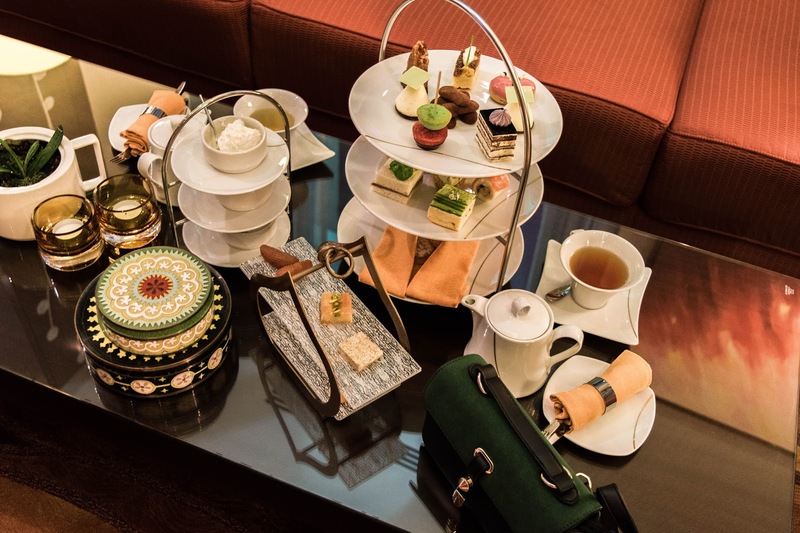 This high tea also lets you have a taste of the Middle East with a selection of Arabic sweets like Maamoul and Baklava. 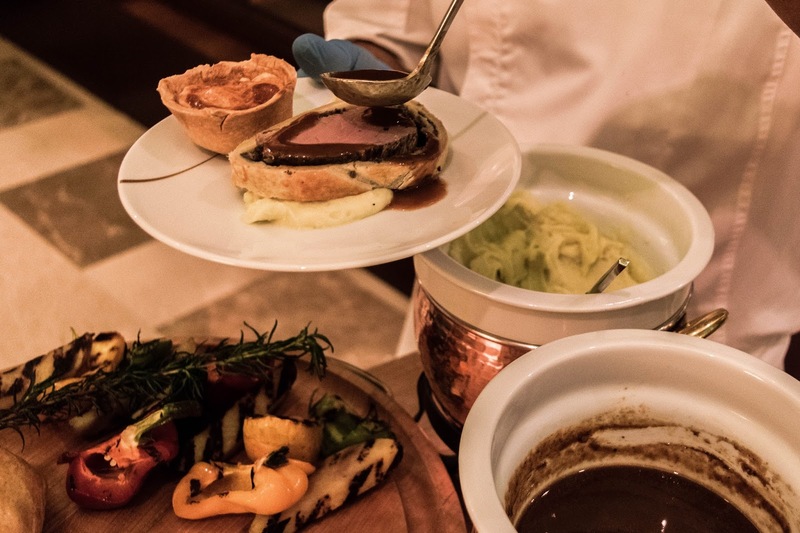 Prepared tableside by Caramel chefs is melt-in-your-mouth slow-cooked beef wellington with mixed mushroom duxelles, served with potato purée and rosemary jus, and ratatouille tart with goat cheese. This perhaps is the element of Caramel high tea that will make me frequent this place. 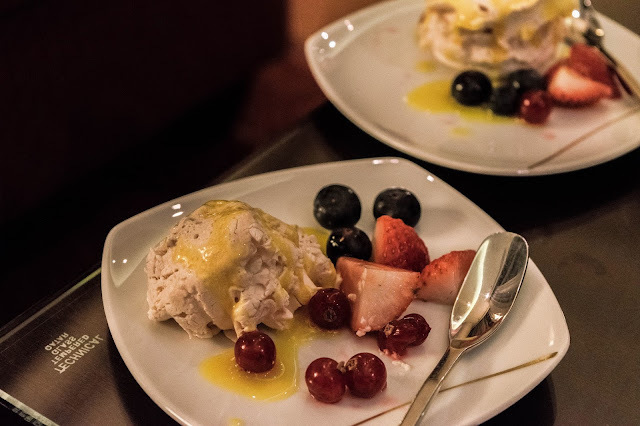 This high tea lets you end your experience on cloud nine with liquid nitrogen meringue infused with Ceylon tea with Apple Pie and Vanilla, served with passionfruit sauce and mixed berries. Delicious and definitely Boomerang-worthy! The lounge also features live piano music; a performer who sings rhythm & blues so beautifully, infusing an air of elegance to the atmosphere. And as the sun sets, the ambiance becomes even more intimate than what it was during the day. It all looks so delicious! 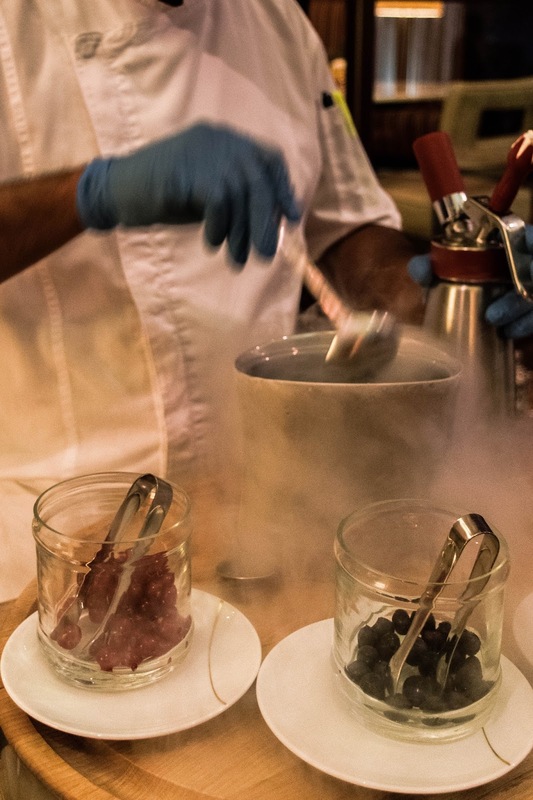 I want to try the nitrogen ice cream!